Pattern to create Birthday Bag. i LOVE and prefer hard copy patterns but the downloads are fast and print up very nice! Easy to follow directions...amazing bag! 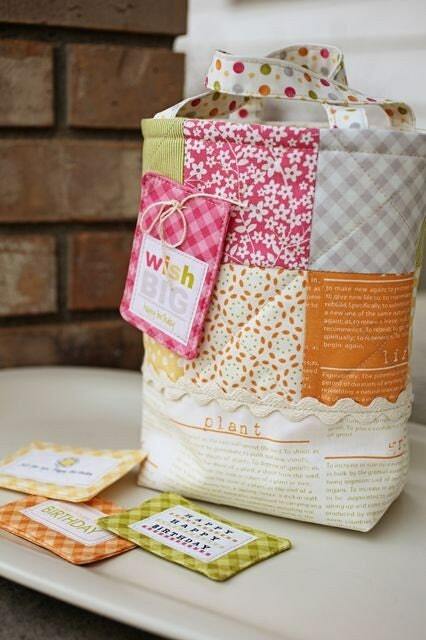 Another gorgeous little gift bag which can be made from my scrap box. It's great to get the pdf patterns ready to download instantly. I love all your patterns, this is especially cute for gift giving! Great as always. Thanks again.